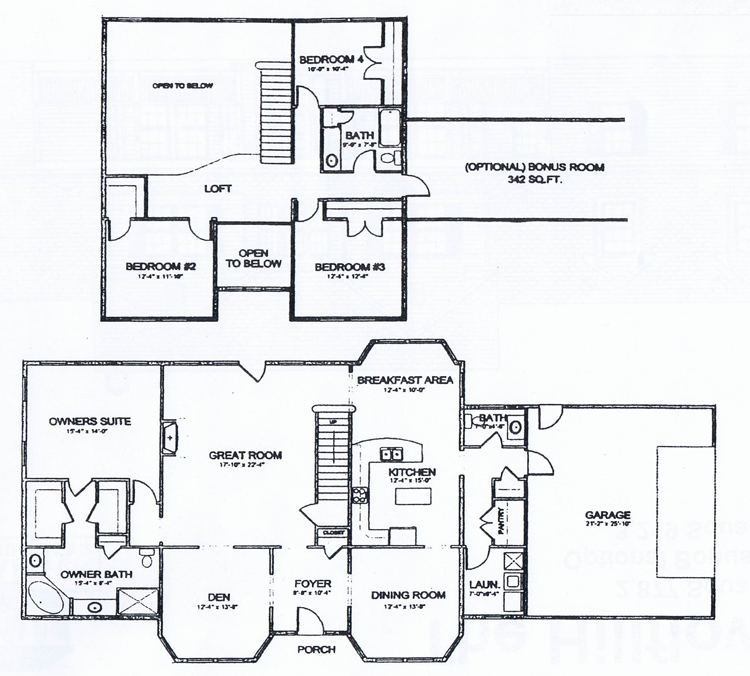 The first floor features a foyer, den, formal dining room, great room and a kitchen with an eat-in breakfast area. There is also a powder room and laundry room located off the garage. The master suite has dual walk-in closets, tub and shower. The second floor has three bedrooms and a loft which is open to below and a full bath. 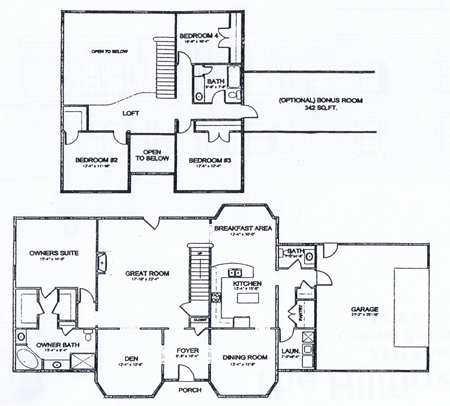 There is also an option for a bonus room or fifth bedroom.